Your Vacaville Fire Sprinklers expert is AAA Fire Protection Services. We designed and service fire sprinkler systems. For new building projects, we can work with your architect or design team or design a sprinkler system for your building. Our comprehensive fire sprinkler services include fire sprinkler installation. In addition to installation services, we offer fire sprinklers inspections and a complete line of fire sprinkler repairs. 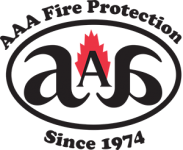 AAA Fire Protection Services has over 40 years of experience working with businesses just like yours. We provide fire protection services to businesses in Vacaville and throughout the North Bay Area. We work with every size of businesses and across all industries. Our experts understand the complex requirements for state, local and federal fire protection regulations and we make it easy for your business to remain in compliance. Fire sprinklers help to quickly control fires in the event one should break out and also, to help reduce the spread of fire. For more information on our services or on how we can help you. Just give us a call at (800) 543-5556.